Welcome to this beautiful two story home. This home has had one owner who has taken great care of it! Recently updated in the past couple of years from the flooring, carpet, paint, and appliances. This is an entertainers delight, the kitchen feeds right into the back porch with a gigantic fenced in back yard or stay inside as the kitchen flows right into the living room for all the big game events! Every room in this house has a walk-in closet, so no more fighting over which room! 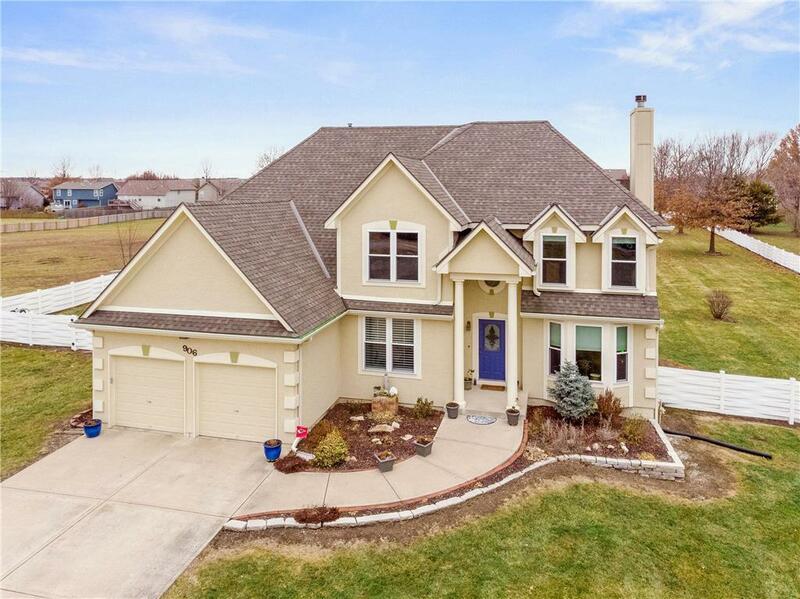 Home sits on an almost 2 acre lot! Directions: Heading south onto Missouri 291 from Lee's Summit, Use the right lane to take the MO-150 ramp to Grandview/Greenwood, Use the left 2 lanes to turn left onto MO-150 E (signs for Greenwood), Turn right onto S Allendale Lake Road, Property will be on the right.